Product #17945 | SKU 93535 | 0.0 (no ratings yet) Thanks for your rating! A three-in-one USB charger, LED flashlight and handwarmer. The Celestron FireCel Portable USB Charger and Red LED Flashlight is three-in-one USB charger, LED flashlight and handwarmer. It is equipped with a 5V/500mA USB 2.0 port for charging your USB-powered mobile devices. It features an internal 2500mAh lithium-polymer battery that you can use to completely charge an iPhone or iPod while on-the-go. It will also fully charge most smartphones and MP3 players. If you use it to charge your iPad or other tablet, it will provide a partial charge. The FireCel is also a four LED array red flashlight. 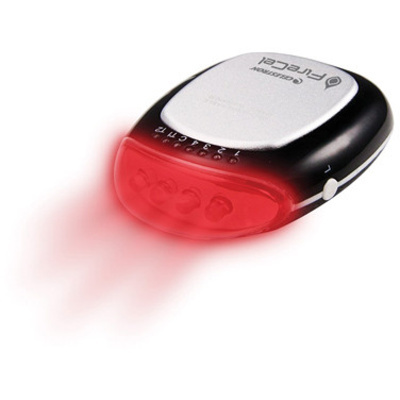 Lastly, the FireCel is an electronic hand warmer with two settings. The T1 setting provides about three hours of heat at 110°F, while the T2 hand warmer setting provides about two hours of heat at 130°F. For added convenience, the FireCel is equipped with battery level and function setting LED indicators as well.